A recent study looking at the effectiveness of a male contraceptive injection was abandoned after the men taking part reported increased incidences of acne (nearly half), mood disorders (over a fifth) and raised libido (over a third). In fact, there were 320 men in the study – and a total of 1,491 adverse events were reported. For those overseeing the trial these side effects were viewed as being more significant than the fact that the contraceptive injection appeared to work well in reducing the production of sperm – and the evidence does appear to support their concerns? Nevertheless, many women will feel these side effects seem minor when compared with those of the female contraceptive pill – and they’d have a point, too. These include anxiety, weight gain, nausea, headaches, reduced libido and blood clots. 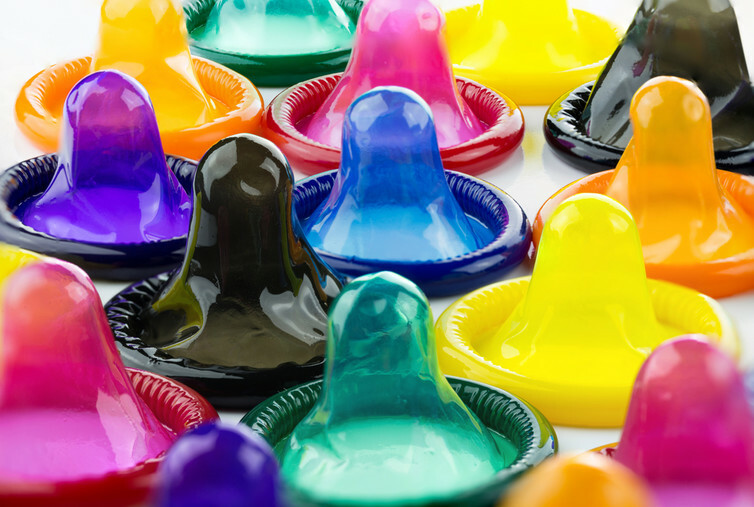 Which raises the question: why is it so hard to make a male contraceptive? And if the plug has been pulled on this one because of side effects, would the female contraceptive pill make it to market if it were released today? On the face of it, regulating fertility in men should be the more obvious choice. Sperm are produced on a constant basis and not in cycles like eggs are in women. This means that, barring any underlying health problems, men are always fertile. In addition, as the biology of sperm production is well-known, the mechanisms of how to block it are also well-known. Indeed, the current study was exploiting the well-established relationship between testosterone – the hormone that gives men their male characteristics – and sperm production. By giving men synthetic testosterone in combination with a hormone called progestogen – similar to the hormones usually found in the pill – sperm production in the testes is reduced dramatically. Before the study was halted, the researchers from Martin Luther University, Germany, observed that pregnancy rates for the men on their trial fell to an equivalent of just 1.5 babies conceived per 100 couples. Compare this with the pregnancy rate of nine babies per 100 couples for women using the combined pill, and the development of such a male contraceptive seems like a no-brainer. Yet, here we are at the end of another study – without being any closer to the development of a viable male contraceptive. As such, women are left once again placed solely in charge of their fertility as well as bearing the brunt of the side effects. Many women may view the side effects as the lesser evil when compared with an unplanned pregnancy, and many may also question whether leaving the responsibility of contraception in the hands of men will work. But the side effects of the male pill could actually have been an unlikely beneficial factor. With both partners actively taking contraceptives – and sharing an understanding of the side effects – a joint sense of responsibility for the couple’s fertility would be established. Also, if one partner needed to take a break from their contraceptive, the other could start taking theirs, sharing the impact of those side effects. So why has it been so difficult to develop an effective male contraceptive when women have been taking the pill, and enduring the side effects, since the early 1960s? In fact, looking at the original trial results from 1956, it’s hard to see how the contraceptive pill ever actually made it to market. Well, there’s always these. Shutterstock. The first large-scale human trial was conducted in Rio Piédras, a Puerto Rican housing project. The women taking part received little information about the product they were receiving, partly because there was little to give and partly, perhaps, because none of the people running the trial felt it necessary. Such were clinical trials in the 1950s. While women even then reported side effects including headaches, dizziness, nausea and blood clots, these were largely dismissed. Thankfully, since then, the pill has undergone constant refinement and modification, becoming a form of contraception now taken by an estimated 225m women world-wide. The pill has unquestionably changed female sexual freedom, allowing women greater control over when to have children. Indeed, in 2012, UK women voted the pill their favourite invention of the last century – ahead of leisure devices such as the internet and the television. Consequently, it is strange that more resources haven’t been ploughed by big pharmaceutical into a male pill. Part of the problem appears to be the very success of female contraceptives. As many pharmaceutical companies make big profits from female contraceptives, there is little desire to take focus away from them. It also appears that there isn’t a universal desire by men for such a form of contraception. Indeed, a 2005 study surveyed more than 9,000 men across nine countries about their willingness to take a male pill. While approximately 70% of men in Spain and Germany stated they would be happy to take it, less than 30% of men in Indonesia displayed a positive attitude towards it. In the meantime, it seems that until there’s more demand from men for a “pill” of their own, the responsibility will be left to women. This means that the need for such a powerful regulator of fertility as the female contraceptive pill is still needed today as much as ever. It should be remembered that many women take the pill for its additional benefits such a relieving heavy menstrual bleeding and pain, reducing acne and helping with premenstrual dysphoric disorder. With the development of new and improved contraceptive pills that contain lower hormone doses, the negative side effects of the pill also appear to be reducing. Indeed, in light of the enormous benefits that the contraceptive pill has brought to women and their sexual health, it would be hard to imagine a world without it. But perhaps we should also be asking why, even in the 21st century, the idea of a man taking a contraceptive “pill” remains such a big deal. This article was originally published on The Conversation. Read the original article. Featured image: Shutterstock.